As the clock ticks towards midnight on Monday, there’s little hope cooler congressional heads will prevail. 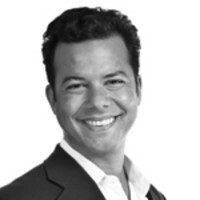 John Avlon on the rot of hyper-partisanship that ails our body politic. It was darkly appropriate that Congressman John Culberson (R-TX) rallied his conservative colleagues on Saturday to vote for a government shutdown by saying “Like 9/11, Let’s Roll!” Because this legislative plane is headed defiantly nose-down into the ground. Decency, practicality, and perspective have deserted some of the folks working under the same Capitol Dome that the heroic passengers on Flight 93 saved from destruction. A decade ago, congressional conservatives might have been offended at the casual misuse of 9/11-imagery for hyper-partisan purposes. Today, nothing’s shocking in the obsessive opposition to President Obama and the healthcare law that began its life as a Republican alternative to Hillarycare in the 1990s. Any red meat rallying cry will do. The looming government shutdown is a manufactured crisis encouraged by extreme ideologues who aren’t interested in governing as much as grandstanding. Now the inmates are officially running the asylum and Speaker John Boehner is held hostage by 50 or so radical Republicans who want to ruin if they cannot rule. Confusion reigned on Saturday night on Capitol Hill as late night votes were hastily scheduled that could only result in a politically suicidal government shutdown. Republican House Leadership telegraphed their own concerns by trying to package the rancid proposal in poll-tested talking points apparently ripped from Obama’s 2012 campaign. Boehner and senior aides repeatedly tweeted that the House vote was really about “fairness” in delaying the individual mandate. The most fascinating rhetorical twist was the insistence that the vote was really about keeping the government open. This is called putting lipstick on a pig. House aides privately admit that the GOP leadership holds few real cards in attempting to get the president to delay and defund his signature legislative achievement. They express anger at Senator Ted Cruz for actively undercutting Speaker Boehner’s attempts to stop the party from charging into an unwinnable battle with the White House and Democratic-controlled Senate. Cruz may be beloved by the activist class at the moment, but he is detested and disrespected by his colleagues. There will be costs to this chaos. At a time when Congress faces historically low approval ratings, a self-inflicted shutdown is guaranteed to drive those numbers further down. And as we saw back in 1995, House Republicans took the blame when they confronted President Bill Clinton on similar grounds, leading to Bubba’s easy re-election. But with the debt-ceiling deadline just two weeks away, this showdown will have massive economic as well as political impact. Now the action will shift back to the Senate, where the feedback loop will likely continue. Minority Leader Mitch McConnell doesn’t want to preside over a shutdown or default on the payments of our debts. But he has a Tea Party primary to content with back home in Kentucky—and responsibility is not rewarded in this context. Beyond politically urgent primary concerns, there will be a bill to pay in the 2014 congressional elections. Divided government used to work—it created the Marshall Plan, civil rights legislation, and all the accomplishments of the Reagan era. Independent voters like me have traditionally voted for divided government in the hopes that it would restrain any one party’s impulse to ideologically over-reach by imposing common sense checks and balances. But divided government now looks like dysfunctional government. And despite the political security created by the rigged system of redistricting, Republicans may suddenly find the congressional midterms a referendum on their ability to get things done. The scorecard is ugly on that front, providing yet another reason for Democrats to accept a government shutdown, however painful. There is the sense that maybe the stark stupidity of this conflict will break the hyper-partisan fever consuming our nation’s capital. Republicans are realizing that the angry conservative populist forces they empowered to achieve power have turned on them and are now actively restricting their ability to be taken seriously as a governing force. When President Obama sees negotiating with Iran as a more reasonable option than negotiating with Republicans over the debt ceiling, we are through the looking glass. With the clock ticking toward midnight on Monday, there is now little hope that cooler congressional heads will prevail. There is no practical plan currently in place that offers a way out, especially with the debt ceiling looming in two weeks. Modest mitigation measures, like a bill that would ensure our military still gets paid along with members of congress during a shutdown, seem the best our elected representatives can muster. In the long run, taking the pain now might just be the best medicine for the rot of hyper-partisanship that ails our body politic. But it is pathetic that is has come to this: a great power that cannot agree on practical ways to keep its government functioning.